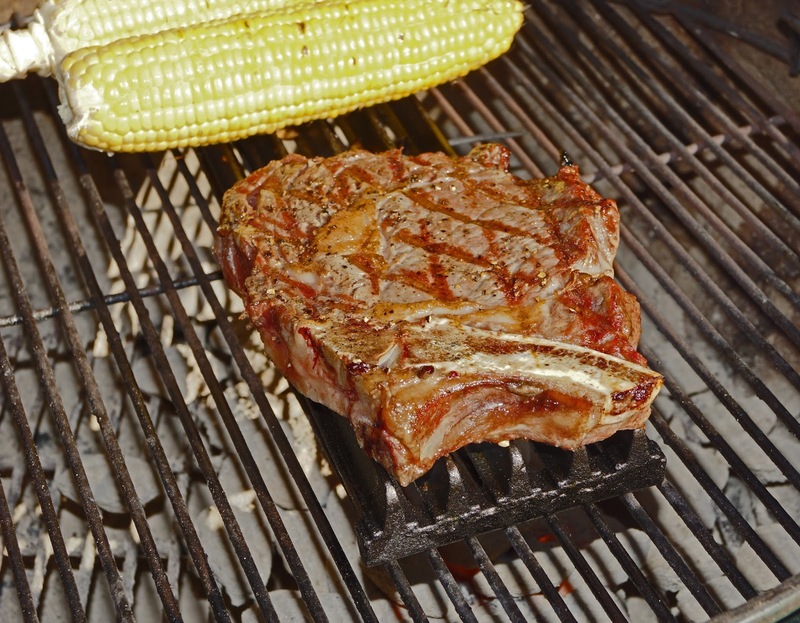 A great tip for successful grilling is a clean cooking grate. 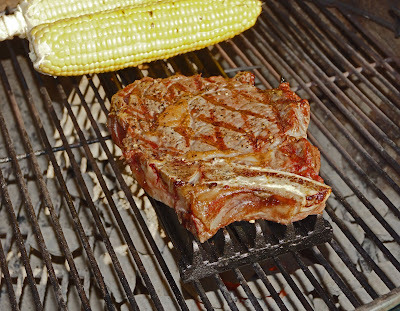 A clean grate will help produce great grill marks, help food from not sticking and get rid of any unwanted flavors. A good sturdy wire brush is an essential tool to achieve this goal. 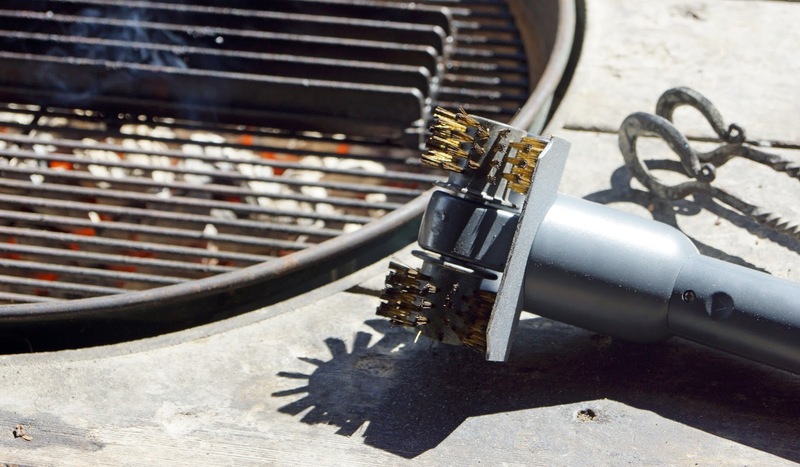 Along comes the Broadstone Motorized Grill Brush. This is an battery powered rotating wire brush with the added bonus of steam. In theory this sounds fantastic. Steam cleaning your grill with out any physical effort may be the ticket to barbeque perfection. 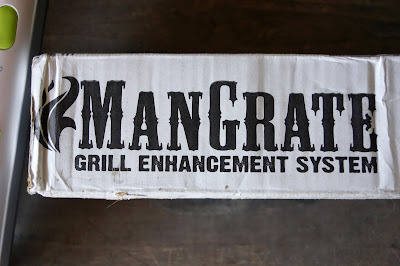 I came across this item with the purchase of the craigslist Man Grate. He threw this motorized brush in for a cheap song. Let's go clean some grates. 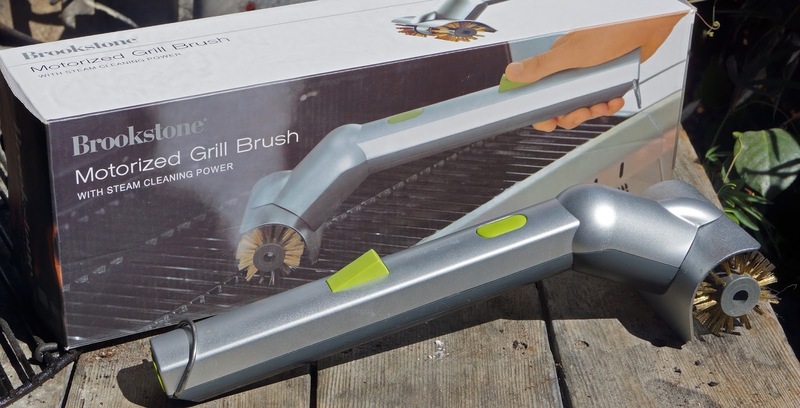 The motorized grill brush takes a lot batteries, eight AA batteries to be exact. This is a fairly simple task to load the batteries. A flick of the switch and the two wire brushes spin to life. The next step is to load the steam chamber with water. There is a little flap at the end of the handle which can be held under the faucet for easy filling. We purposely left a dirty grill for demonstration purposes. A charcoal fire was built and the brush was put through its paces. There is a little button to press which pumps a stream of water. The grill was hot and we went to work. Pushing the button, shot a stream of water on the hot grill grate which did produce steam. 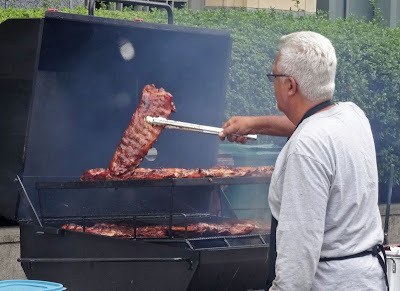 We rolled the spinning brushes over the dirty grill. It did clean the surface fairly well but did not reach far enough below to clean in between the grates. FAIL. There is a major problem in the design of this product. First, if you look at this image there is a space and material between the two rotating brushes. This acts as a platform bevel which hits the grill limiting how far and deep you can go between the grills. Second the brushes size combined with this platform is just to small to get between larger grates. 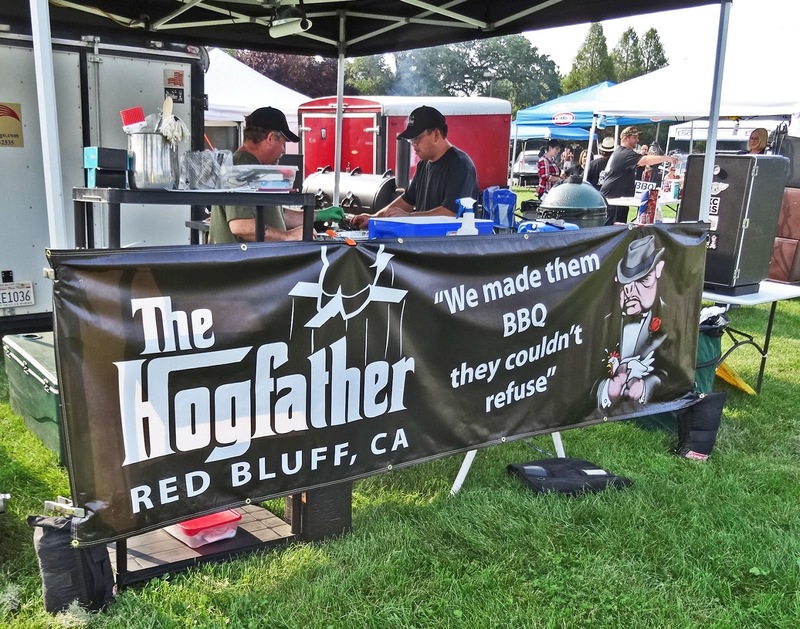 This product may work if your grill grate is the standard issue steel grate that comes with the kettle bbq but is a major fail with any grate that is larger. Unfortunately the Broadstone Motorized Grill Brush did not reinvent the wheel today. This tool would be relegated to the back of the tool drawer if it fitted. Some people watch the home shopping network. I have a weakness to browse Craigslist, specifically the barbeque section. 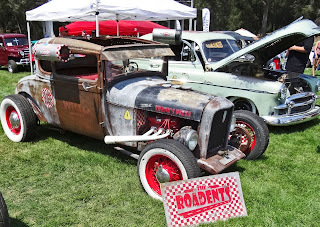 You never know what bbq treasure somebody wants to sell or barter. My latest find is the Man Grate. This is a cast iron grate that sits over your existing cooking grill. 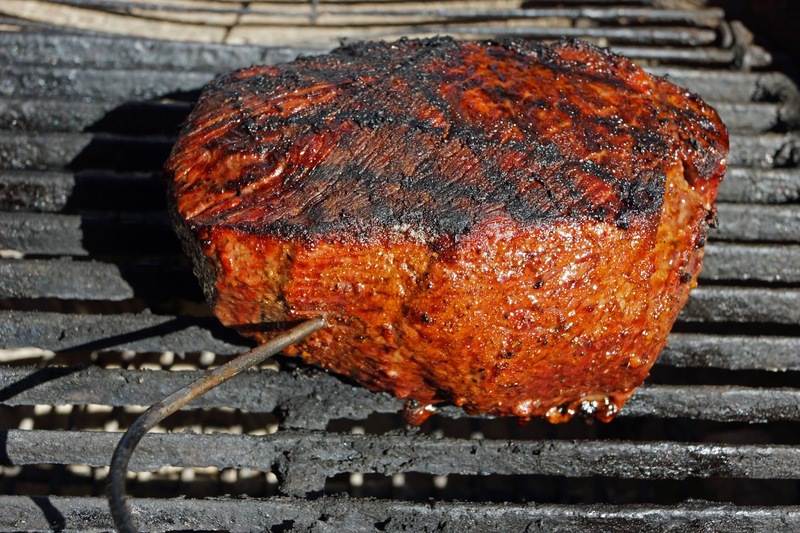 Cast iron will hold a higher heat for a longer time producing better carmelization and superior grill marks. I do own a cast iron grate and use it all the time but this was a deal this Mad Meat Genius could not pass up. 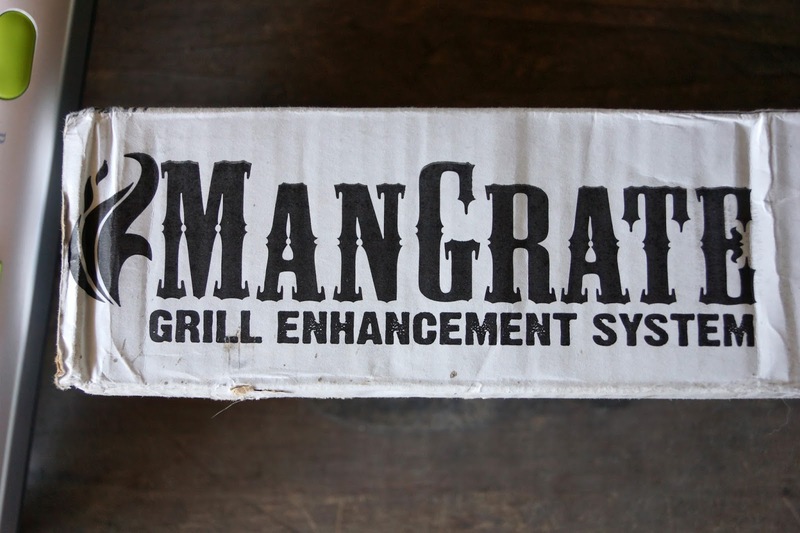 The Man Grate considers itself a grill enhancment system. This is a fancy way to say they want you to buy more than one grate. I say this because the measurements are 15' long by 4 1/4' by 1 2/8' high. A little over 4 inches is not a lot of room to cook a large steak. We only have the one to play with today so lets give it a try. The first step is to cure the grate. This is standard procedure for any cast iron pan. It is cleaned and coasted with oil and then baked in high heat. This will form an almost non-stick character to the cast iron. Once this was done a rib-eye steak would be put to the test. A hot charcoal fire was built. 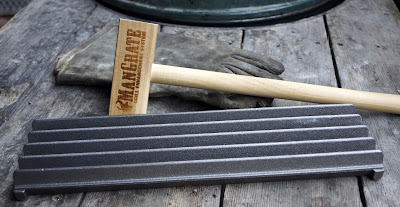 The Man Grate was placed on my old existing grate and given 10 minutes to heat up. I placed the steak on the great to hear a wonderful sizzle. This sound was music to my ears. Several minutes went by and I rotated the steak to brand those wonderful grill marks. The steak was flipped and cooked to a medium rare. The Man Grate delivered what was promised. 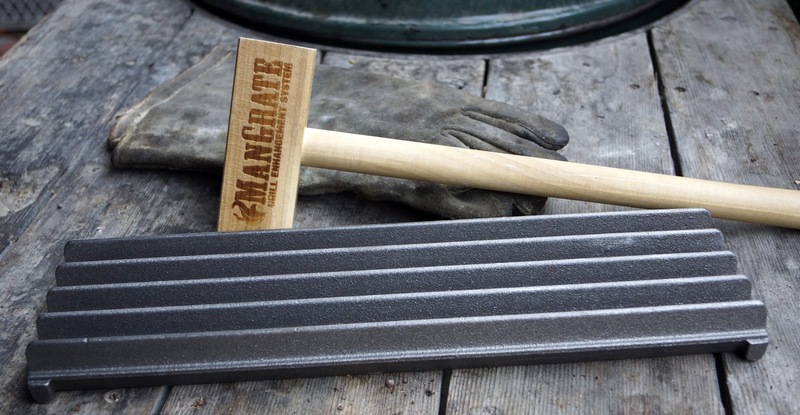 It is a heavy duty cast iron grate that will only get better with age and curing. It was practically non-stick in its first use. Cast iron is the way to go grilling steaks. The next time I will let the Man Grate heat up even longer for a faster cook. The only problem is I will have to purchase steaks that are only 4 inches wide or wait for another Craigslist find. 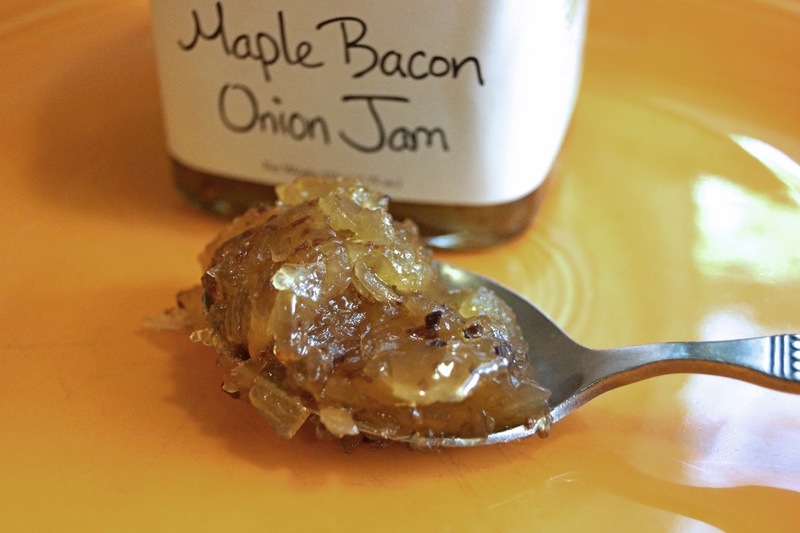 How can I resist a product that has bacon and maple in its title? Maple Bacon Onion Jam from Stonewall Kitchen is my latest acquisition in the long line of condiments that claim bacon in their label. 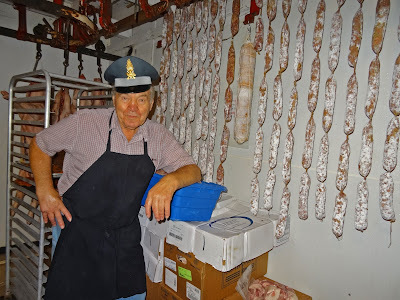 Sometimes it is better not to read the ingredient label because it can unmask a want to be bacon poser immediately. Against my better judgment I did read the label. Surprise, surprise, bacon is listed as an ingredient. Sugar, shallots, apple, maple syrup and onions are a few of the other ingredients. At the end of the list is an ingredient that is on my least favorite list; liquid smoke. The true test will be in the taste. Let’s pop the top. Burgers were on the grill tonight. 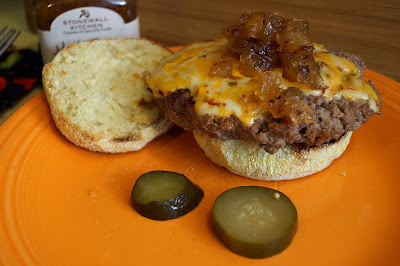 I topped our burgers with a huge dollop of bacon jam. This added a sweet smoky component that was a great flavor combination. 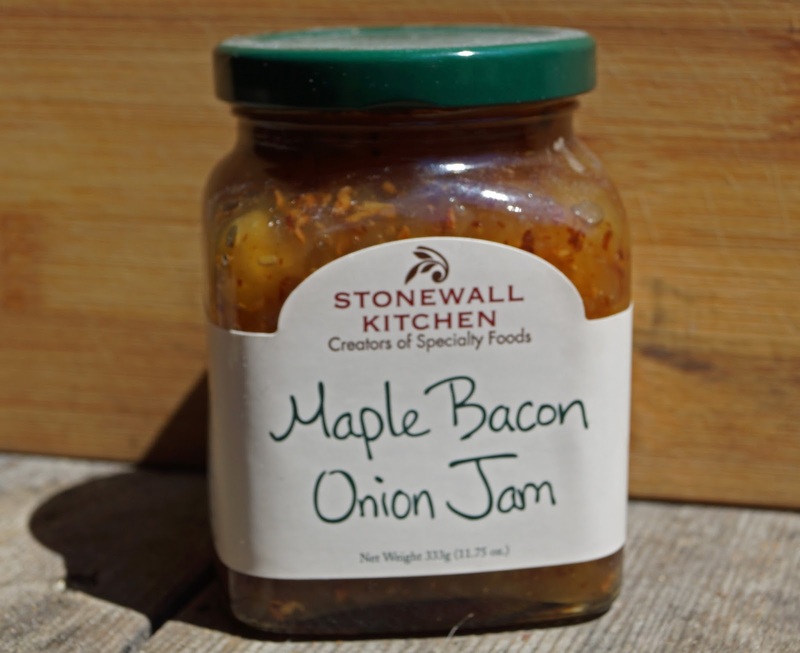 Stonewall Kitchen has delivered a product that actually has bacon. If I had any negative critique about this product would be the use of liquid smoke. I believe it was unnecessary and possibly a little heavy handed. I still liked this product and think it would be great on toast in the morning. What better way to start the day then with a little bacon jam. 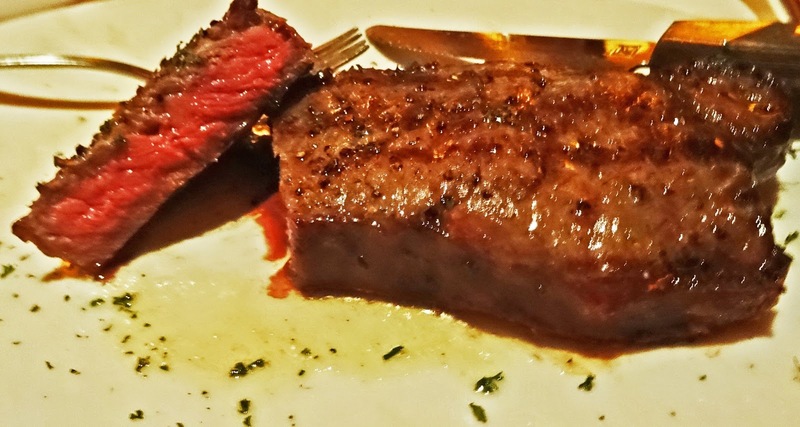 Have you noticed the absence of designated crumb sweepers at high end steak houses? At one time in Harrah’s Steak House there was a designated crumb sweeper. This was usually a teenager whose sole job was to take a small whisk broom or fine toothed comb and brush any bread crumbs that had fallen to the tablecloth. He would usually fill water glasses too. Last night at Fleming’s Steak House, we witnessed the return of the crumb sweeper. Our bus person cleared our table. He skillfully stacked two entrée plates, 5 smaller plates and then with one hand reached into his pocket to remove a small fine toothed comb to gracefully sweep the table in a circular pattern removing stray breadcrumbs. I was overjoyed at this small lost artful task. The busboy promised to return to re-fill our water glasses. I rascally scattered a few more crumbs near the water glass to see if our busboy was a true blue crumb sweeper. He returned and demonstrated true professionalism by pouring and sweeping at the same times. 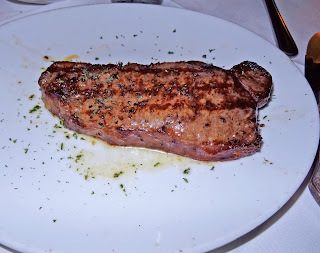 This was just one aspect of our fantastic dinner at Fleming’s Steak House. The Crumb Sweeper is Back. 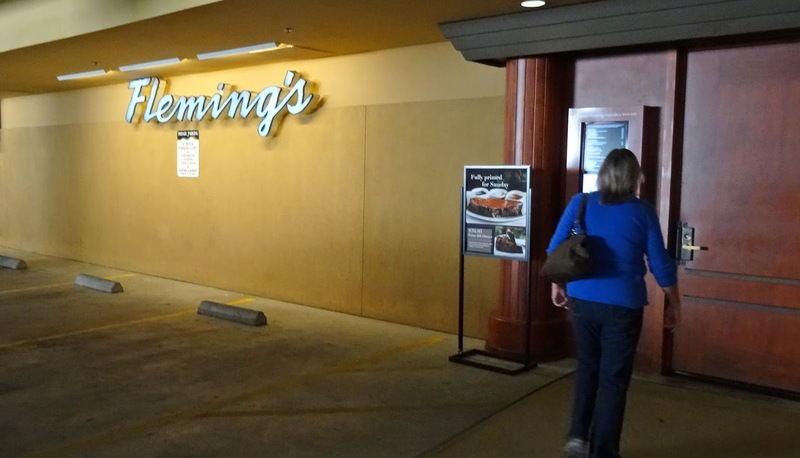 Fleming’s Steak House is a high end chain restaurant. 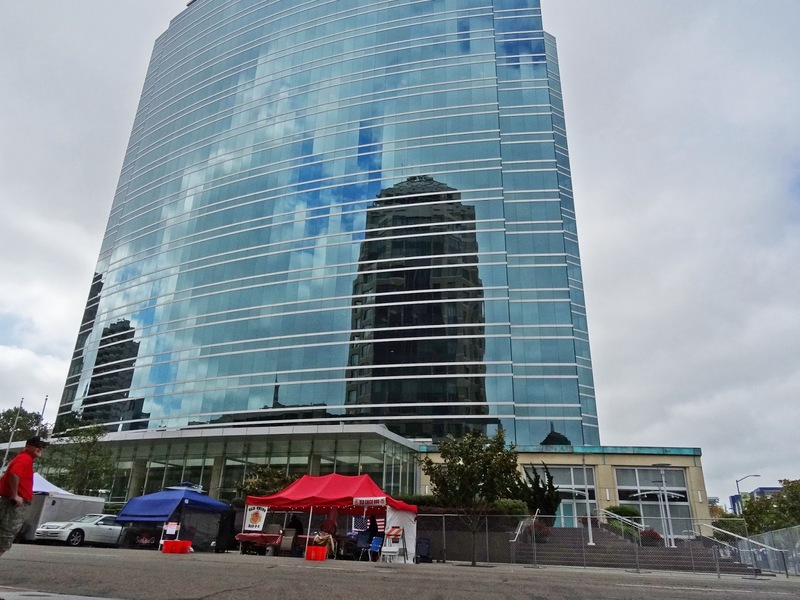 This one is located in downtown Walnut Creek in a tony shopping district. The entrance is on the second floor of a garage complex. 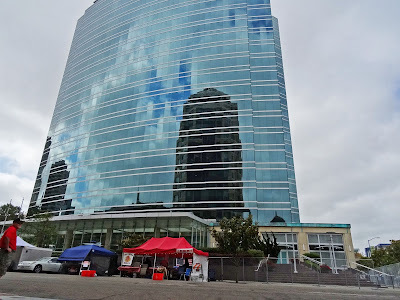 They do offer valet parking which struck me as a little odd. We opted to self-park because we were in a garage. We strolled through the doors to the front desk. The lighting was very low as a true steakhouse should be. The place had that vibration of good things to come. We were seated and immediately staff brought out bread with two varieties of compound butter. The first butter had truffle oil and the other had a wine, garlic combination. They were both good and set a butter theme for the night. We chose our cuts of beef; Ms. Goofy the filet and I Wagyu New York. These steaks were ala-carte so we filled out the ticket with several traditional side dishes. The staff was very professional and prompt. Ms. Goofy declared her clam chowder to be fresh like the ocean. My signature ‘Flemings Salad’ was overdressed but still tasty. Our entrees were almost immediately served after our first course. The Wagyu was served on a plate of its own. It was slathered with melted butter that I smelled immediately. It looked lonely on that barren plate so I dug in. One bite and I was in love. 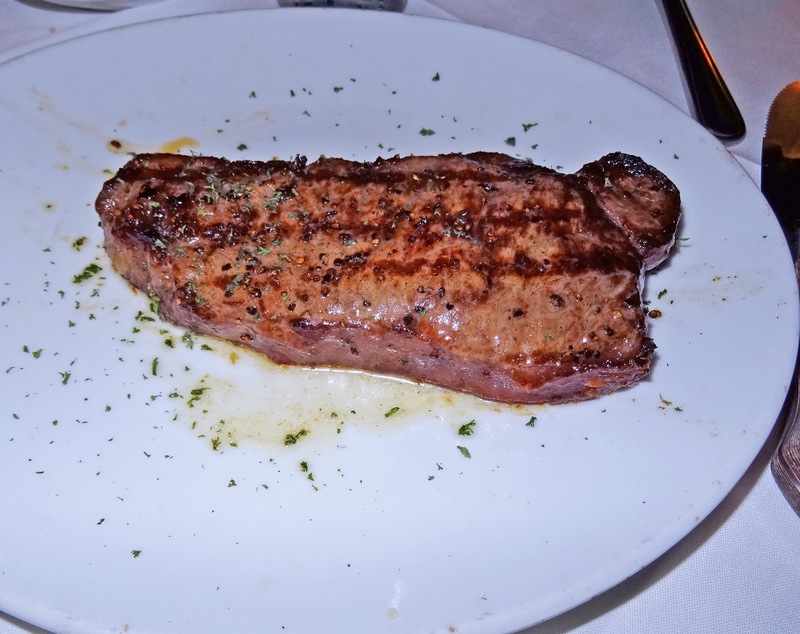 This was cooked to perfection at a medium rare. The steak had been trimmed of all excess fat or gristle. I actually cut this into small bites to savor each bite. How can I describe the flavor? It was deeply rich with a beefy flavor but the most important flavor component was the lusciousness that lingered after the bite. This was a steak moment that I will cherish. Ms. Goofy loved her butter topped filet. Filets can be bland at times but her medallion had beef flavor that she loved. 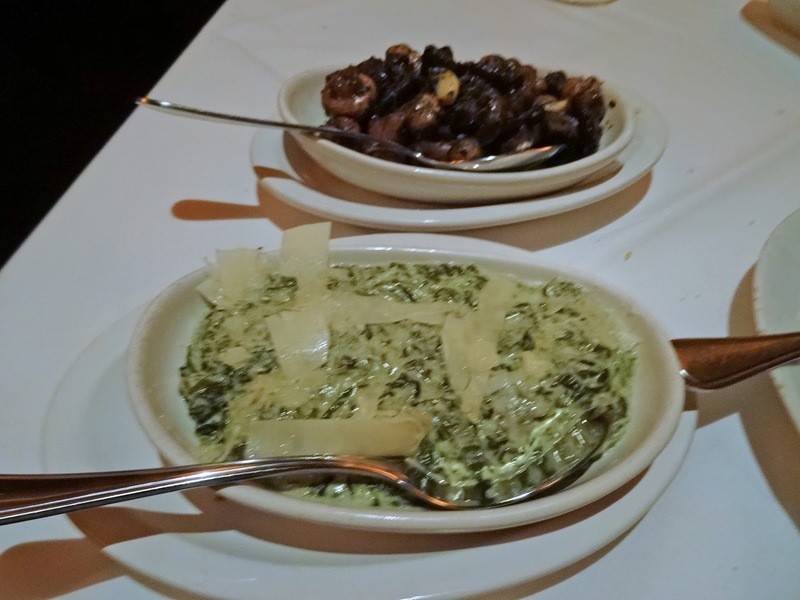 The sides of creamed spinach and sautéed mushrooms reinforced that butter was king at this restaurant. Now, I am not complaining about butter because I ate every last bite. The mushrooms had little cloves of roasted garlic that added a yummy sweetness. The creamed spinach had sheets of melted cheese on top to make it even more decadent. The sides dishes were fantastic. Beef Clod Heart is a cut of beef that is not seen too often here on the West Coast. The only time I have heard of beef clod is on a travel shows about bbq. They are cooked at several bbq restaurants in Texas. They are cooked in the similar fashion as a beef brisket; low & slow. It is then slice and served. 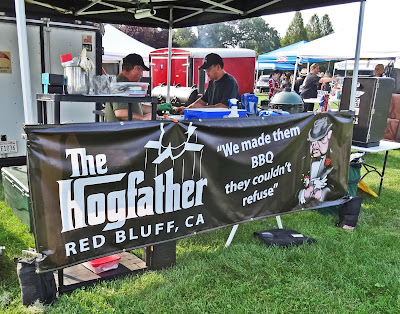 We experienced beef clod heart as an auxiliary category for judging at the 'Wine Country Big Q' in Rohnert Park. 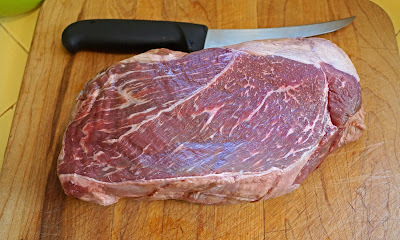 Beef Clod is cut from the shoulder muscle of the cow and the heart is a tender section in this cut. I have to admit that I was not too impressed at this contest with the entries. The majority of offerings were dry and a little tough. One of the contestants did not enter and gifted me a Beef Clod Heart.. The question now, is how can I cook this to make it tasty and tender? We trimmed all the fat from this impressive muscle. It was rubbed down with our rub of the day. The roast was left at room temperature for an hour while we prepared our fire. 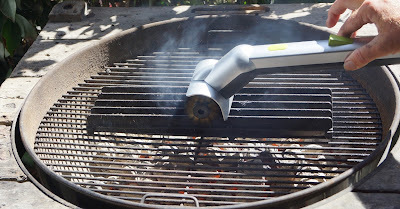 The Weber kettle would be put into action today. Both indirect and direct heat would be used to cook our roast. A chimney full of lit charcoal was put into the middle of the cooking area and the grill was put into place. We seared two sides leaving some pretty grill marks. The heart was removed and reserved. We lifted the grill grate and separated the charcoals into two mounds at opposite edges. The grill was replaced and the beef was put in the middle of the grill with a remote thermometer in place. The lid covered the roast to create a smoky oven. The roast was cooked to 125 degrees. The hardest part of cooking any barbeque is the resting period. It is so crucial to let the juices redistribute. If you are not patient, the first cut will spill the juices to the cutting board. A very long 20 minutes rewarded us with perfectly rested beautiful beef. Success!! This was tender as all get go. I would compare it to a flavorful roast beef. It was not as tender as a tri-tip but the flavor was deep like a sirloin. This was some great tasting beef. This was not only great with dinner but I am dreaming about sandwiches tomorrow. Once again proper technique, patience and a little luck have transformed beef clod heart into a memorable meal. 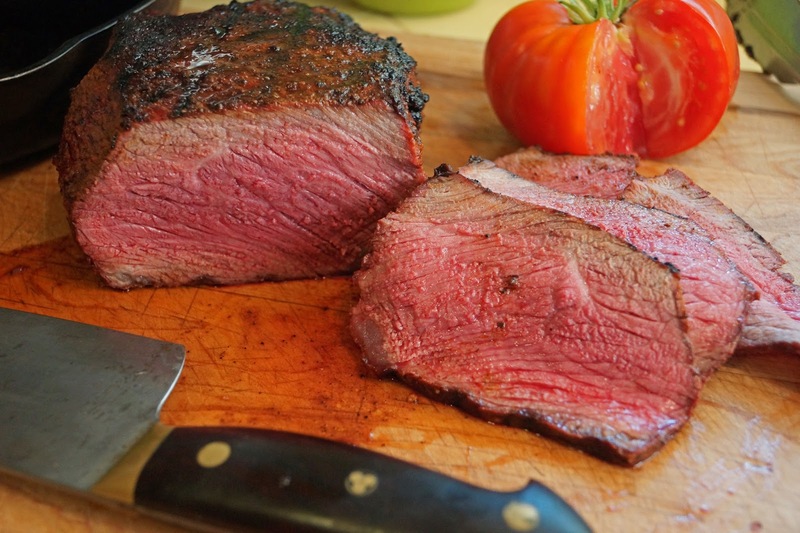 Why is this cut of beef not more popular? Most likely, the consumer has no idea how to cook it. 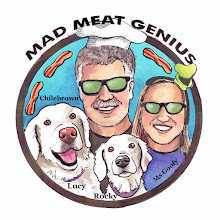 If they only read Mad Meat Genius. Do you every get tired of having to dip your chicken wing into the blue cheese dressing? Then you have to set the wing down and pick up a piece of celery and dip again. Finally the carrot and the process is repeated. Well my friend, I am here to help you with this laborious process. In the Mad Meat Genius test kitchen we have created an all-in-one chicken wing sauce that will make life simpler for all. This wing sauce will combine hot sauce, carrots, onions, celery and lastly blue cheese to form an all inclusive melody of flavors. Let the sauce begin. My inspiration comes from a show we saw where a group of people searched on a bus trip for the ultimate chicken wing. Over several days they visited numerous restaurants that specialized in chicken wings and picked their favorite. The winner had their version of this all inclusive sauce. 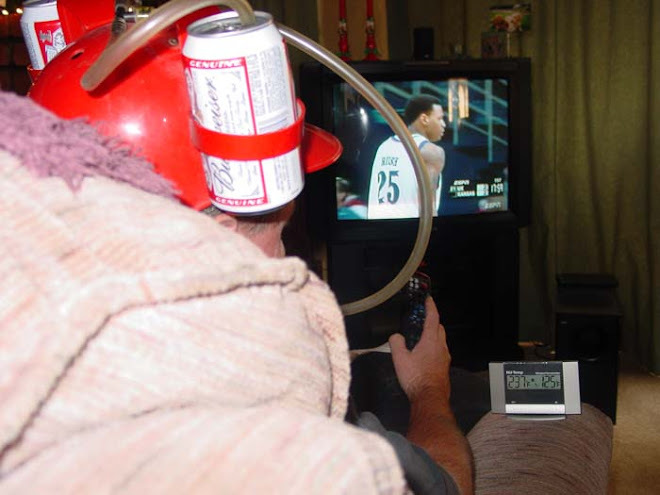 This will be our version. Here we go. Chop 2 tablespoons of carrot, onion and celery very fine. Melt 1/2 cube of butter. 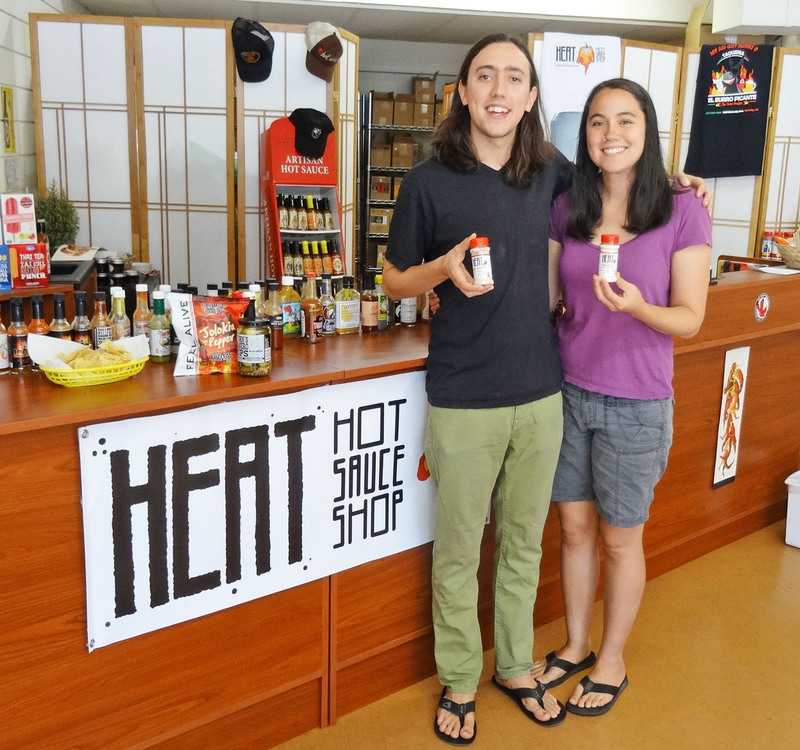 We used Frank's hot sauce but you can substitute your favorite. Combine 1/2 cube of melted butter with 1/2 cup hot sauce and vegetables. Add several tablespoons of cubed blue cheese. Stir mixture and season with salt & pepper. Place mixture in bowl and reserve. We barbequed our wings over an indirect fire. You can deep fry the wings if you are so inclined. We seasoned our wings with our rub of the day. When the wings were done toss in bowl and coat. Ms. Goofy declared these wings to be the best ever. All her favorite flavors were available in one easy peasy bite. I thought they were very good. If I could do one thing over I might of heated the sauce and melted the blue cheese. The chunks of cheese added a nice texture element but would fall off the wing. Oh what fun we have. kernel releasing vitamins and natural sweetness that would be lost if consumed whole. Corn tortillas are the perfect example of this process. Tortillas are the end results of soaking corn in lime and grinding them into masa dough and ultimately transformed into a wonderful corn flavored type of flat bread. Today we are attempting to make a cornbread using this technique. It takes a little preparation and involves soaking cornmeal in a lime solution. The first step is to make some lime water. You can buy calcium hydroxide (lime) at most Mexican markets or the canning section of your local market. It was sold in bulk at the Mexican market and was only $1.50 for eight ounces. Be careful handling this powder because it can burn your skin. To make the limewater, use a large glass container and add two quarts of filtered water. Add 8 ounces of lime and stir. Let sit until lime settles to the bottom. When your lime water is ready remove two cups of water and put into pot. Bring lime water to a boil and pour over two cups of corn meal. Stir until moistened. Let rest for at least 4 hours to overnight. In a separate bowl mix sour cream and flour and let rest for four hours. Preheat oven to 350. 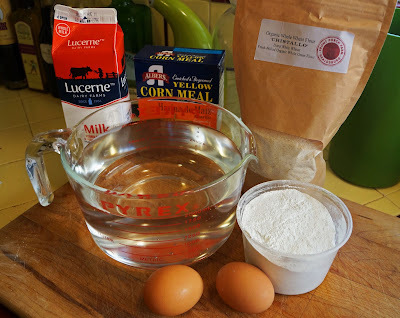 Blend all ingredients to make batter. A whisk will help incorporate ingredients. Place in a well buttered cast iron pan. Bake for approximately 40 to 50 minutes until browned and knife inserted comes out cleanly. Cool for several minutes and then turn cornbread onto wire wrack to cool. 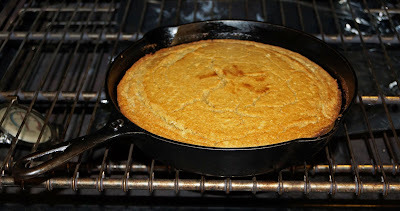 This cornbread smelled fantastic while baking.. The sugars and the wheat flour caramelized and transormed this bread to a beautiful golden brown. 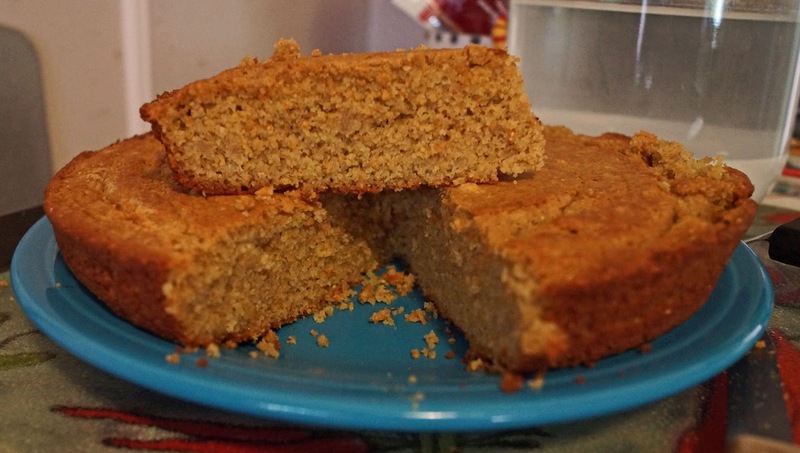 I could not wait till the cornbread cooled completely, so I cut a huge wedge and dug in. It was very moist and crumbly at the same time. This bread had a deep sweet corn flavor that was pronounced. 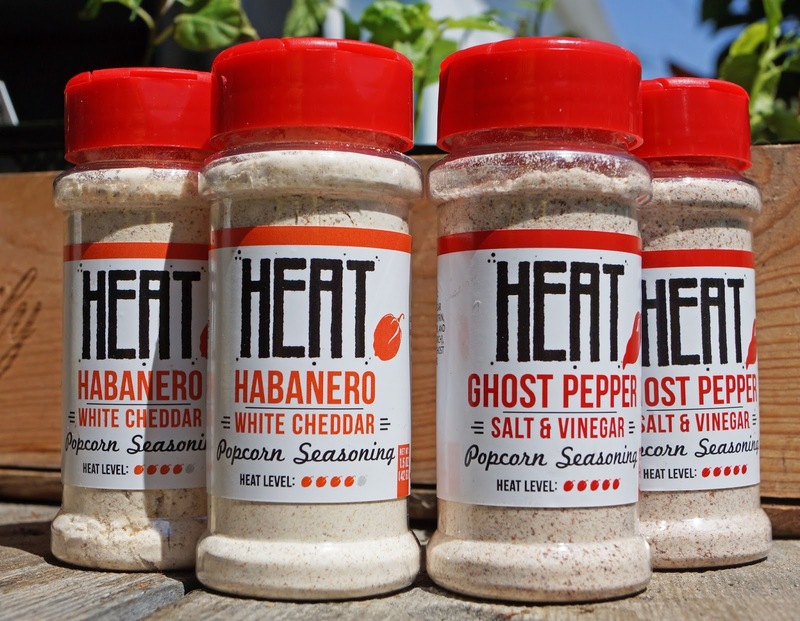 The corn flavor was something that grabbed your attention with its deep and satisfying flavor. We really enjoyed this butter rich bread. Was it worth all the effort? 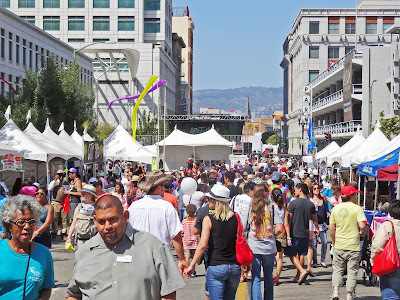 I am not sure but it was a heck of a lot of fun to try. 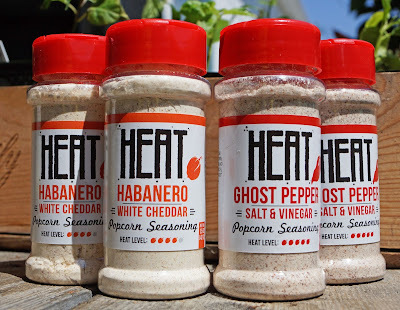 Welcome back to our review of Heat Hot Sauce Shops latest and possibly hottest offerings of popcorn seasoning. Today we try Ghost Pepper Salt & Vinegar Popcorn Seasoning on potatoes; fried and baked. 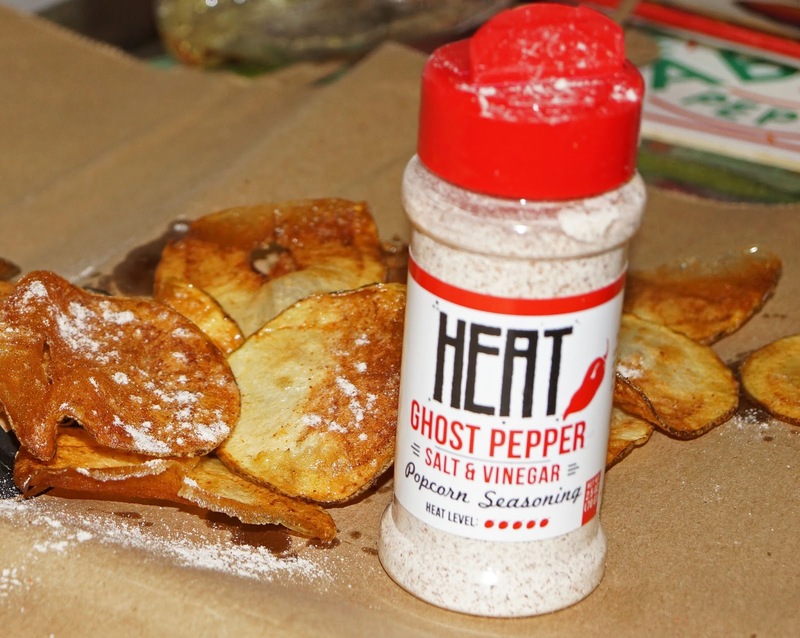 This seasoning may prove to be Ghostly hot. 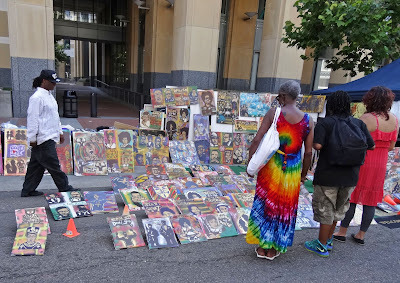 Please come on over and take a look. It was a beautiful day to have a barbeque contest in Penn Valley California. 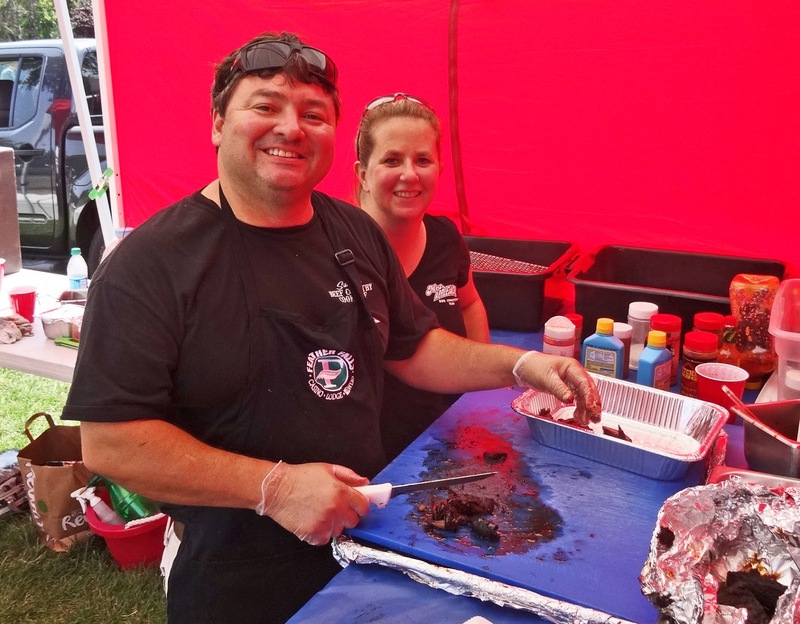 Twenty five pittmasters brought their cooking skills to compete in the first holding of the Grilles & Grilles at Western Gateway Park. 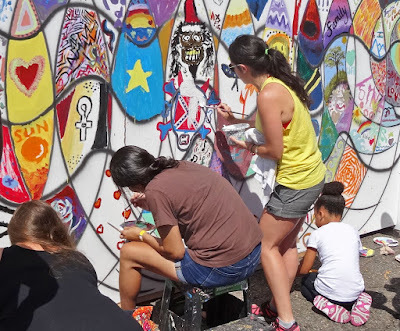 This was a fundraiser for the United Way that brought the community of Penn Valley out to enjoy a beautiful day at the park. The weather could not of been nicer. 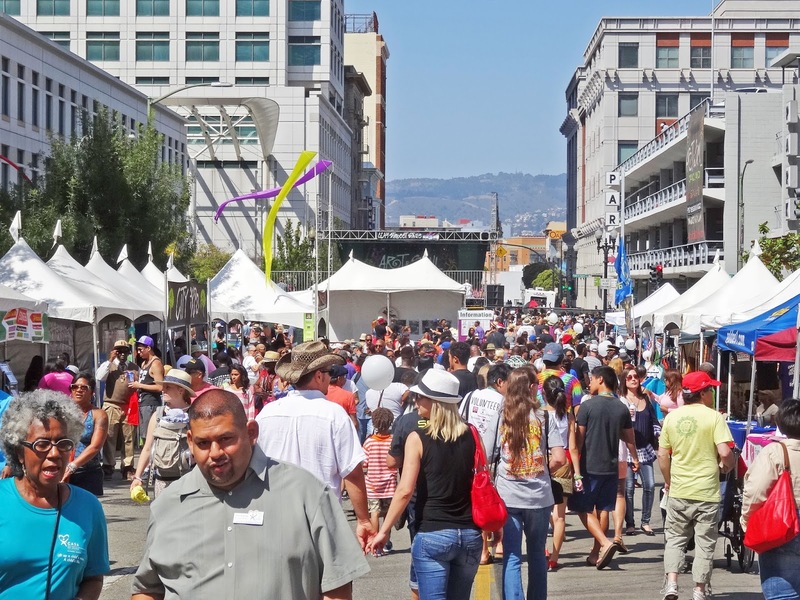 The thermometer hovered in the mid 80's to provide pleasent conditions for all. Us spoiled judges were sequestered into an air-conditioned room which we had to even turn the thermometer up. 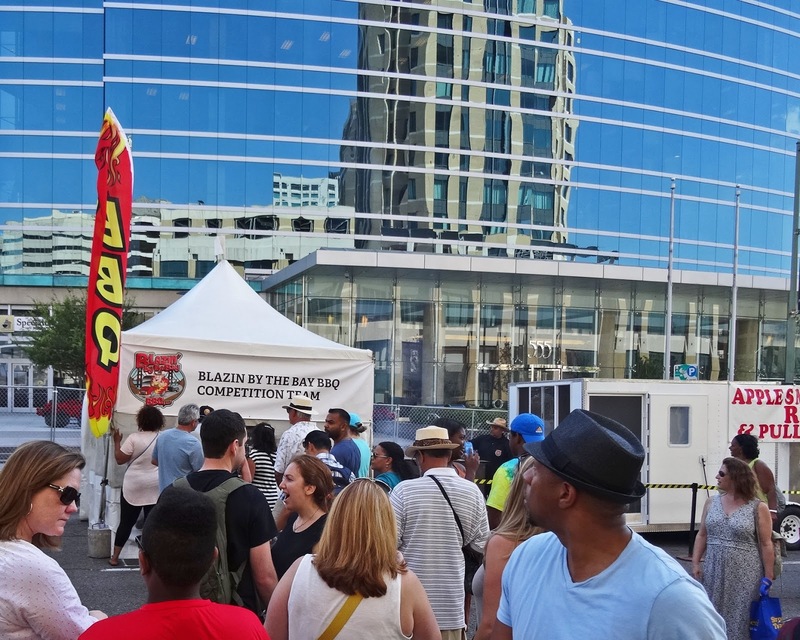 This was a special contest for three Kansas City Barbecue Society Certified Judges because they had arrived at their thirtieth contest. 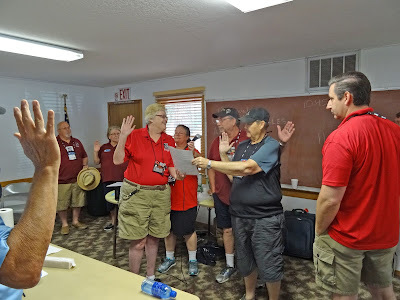 This milestone qualifies them to apply for Master Judge status. They have to pass a test, cook with a team and volunteer or table captain to complete their Master Judge application. It was a day to be proud achieving this status. They are pictured reciting the KCBS oath which is said before each contest. Congratulations. The public was allowed to sample competition style bbq at this event. 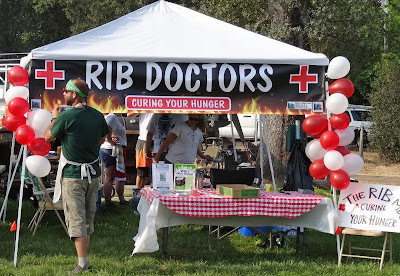 Each contestant donated their leftover competition meat to a central booth. 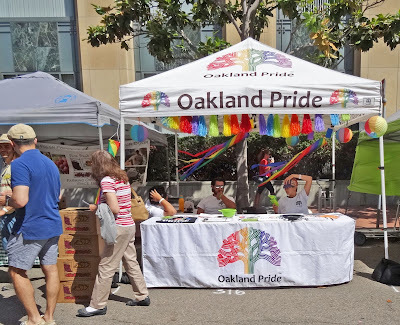 It was distributed for a nominal fee benefiting the United Way. This was a win, win situation for all involved. 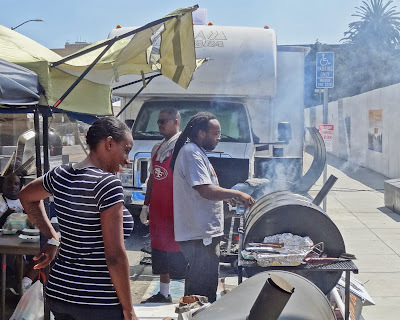 I saw some happy customers with a full plate of bbq. I was tempted to purchase a plate of my own. 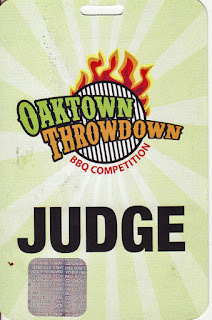 If you were inclined to eat every bite of the food judged a judge would consume approximately six pounds of meat. Needles to say I had to pass this time. 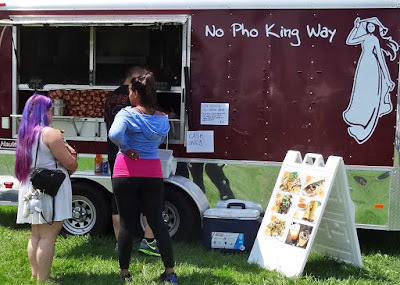 If you did not want bbq their was the food truck No Pho King Way selling their wares. The scores were tabulated and the winners were determined. 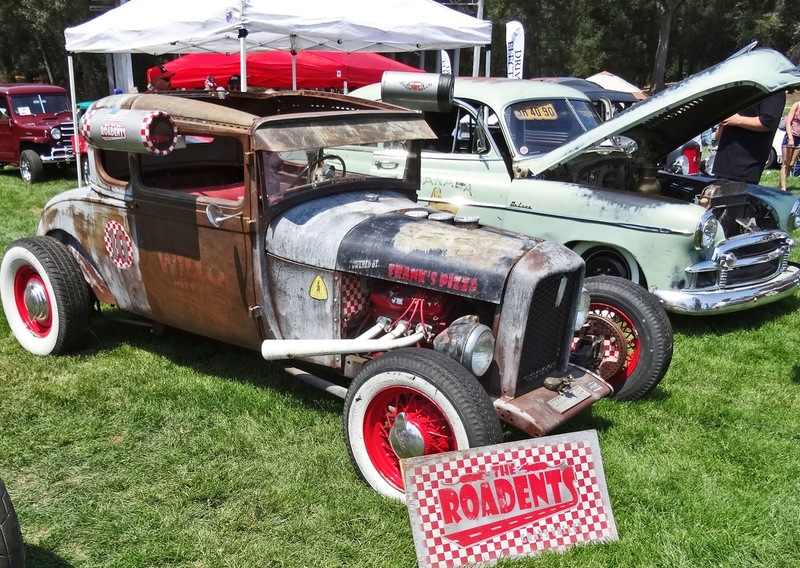 Zack Galiste of 'Son of Smoke' took Grand Champion. Zack won last week in Oakland WOW, he is on fire. Back to back Grand Championships for a seventeen year old pittmaster is phenomenal. Food Network may have a new star. It was a great day to have a bbq contest. Are you ready for the latest bacon product find? This product comes from the bourbon family of Jim Beam. 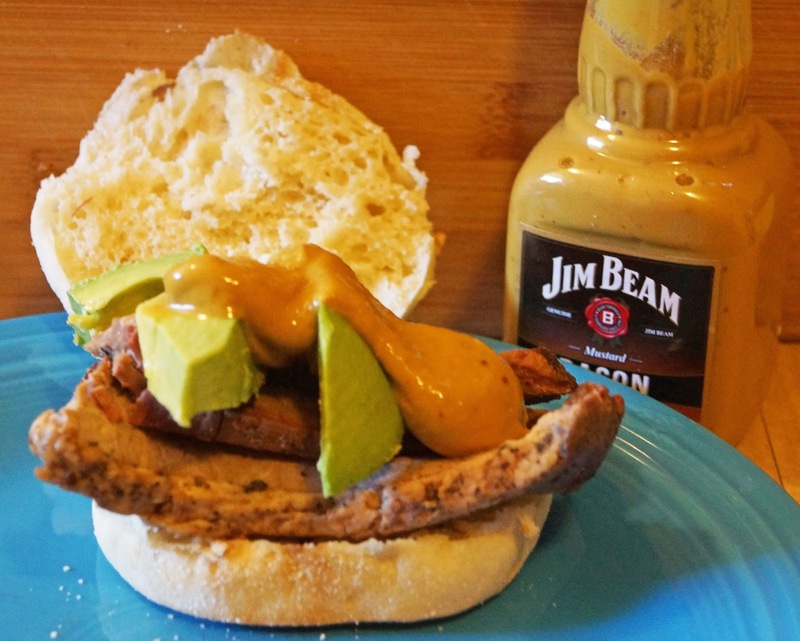 Jim Beam has put their name on a bacon mustard product. Against my better judgement I scanned the ingredient list. No bacon is listed. Artificial flavors may be the bacon component and bourbon is a listed ingredient. The top is opened and a smokey mustard aroma greets your senses. I think this is the closet to bacon we will get. The mustard tastes mustardy good. There is a slight smokiness and a subtle sweetness possibly from the bourbon. 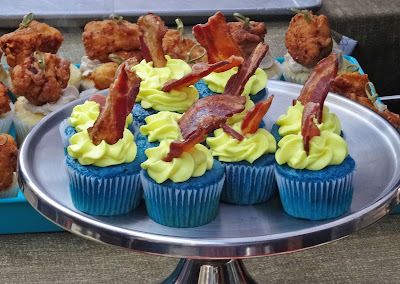 Does it taste like bacon and mustard? No, not really. 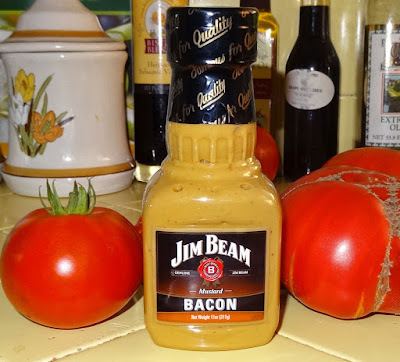 Jim Beam has put out another bacon themed product that on its own is quiet tasty but does not deliver the promise of bacon.